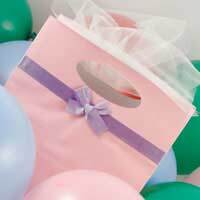 Have you just been invited to a christening and need the perfect baby gift? Get some inspiration from our short guide to the very best gifts that the high street has to offer. Cashmere and soft cotton blankets are great gift ideas. They are widely available in all budgets and sizes. Go that extra step and add personalised embroidery to the blanket. You could get baby’s name added to a corner or if you know you are creative enough, add your own design or special message and make it a real gift to remember. A newborn baby is a good reason to splash out on a memorable gift. Silver necklaces, bracelets, picture frames or even a silver spoon are all available from the high street jewelers or, if budget allows, from the premium jewelers. These days you can get anything in silver - from baby shoes (just for show of course!) to baby's first cup. Whatever you go for, it is a particularly good idea to pay the extra pounds for engraving. Put the baby’s name and birth date on the item as well as a special message of love that you may have. This personalisation makes the keepsake extra special for years to come. A lot of retailers now offer christening kits which are basically large boxes or baskets packed full of goodies. This is often the pricier option but the sheer convenience of it is very appealing. It looks impressive, comes stuffed with lots of goodies and saves you lots of hard work. Budget for up to £100 if you are choosing this as your gift idea. Remember though that it is possible to make up your own gift box without breaking the bank and it can look more impressive and more personal. If you know the family well, get a selection of items together that you know both mum, dad and baby will appreciate. Natural bath products from mum's favourite brand, a little toweling dressing gown for baby and some booties that look like dad's trainers are all great ideas that will be appreciated. If you want to stand out from the crowd for all the right reasons buy the new baby something completely out of this world. Did you know that for about £50 you could purchase a star for the baby? That’s a star in the sky named after the little bundle of joy! The gift comprises a certificate of proof and contains essential co-ordinates so that, with the help of a telescope, mum, dad and baby will be able to find their star! This is an imaginative and special gift that will seriously impress the congregation. As the early days fly by for mum and dad, they need a way to record the memories. A beautiful photo album will be an ideal gift. These days there are some elaborate designs out there and there are plenty that are specially made for recording all of baby’s firsts, with illustrations and placeholders for key pictures. If your budget is very small – perhaps you have new children of your own to cater for – don’t be afraid of giving an inexpensive gift. Sometimes the most thoughtful presents you can give to the new mum and dad are the cheapest. A baby poem, perhaps even penned by you in a moment of inspiration, is a powerful gift. Print it out in italic font and get it framed to achieve a professional look. A christening really is a cause for celebration. Anything that you give mum and dad will be appreciated. Little clothes, photo albums or trinkets will all be welcomed with open arms.